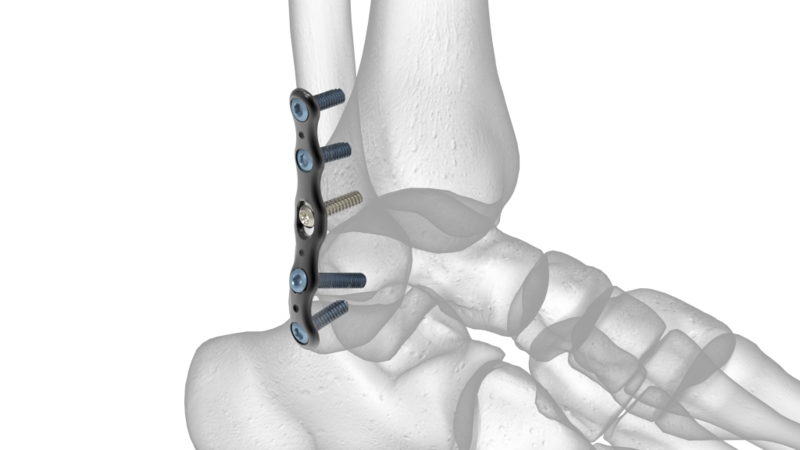 The Acumed Anterior Tibia Plate and Medial Tibia Plate are two options for the internal fixation of non-comminuted distal tibia fractures, osteotomies, and nonunions. 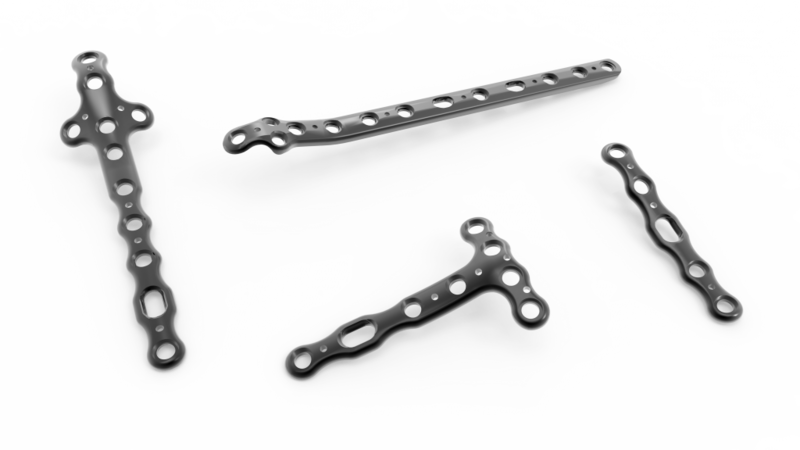 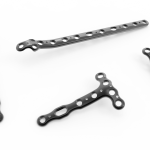 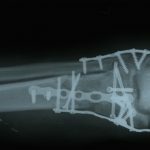 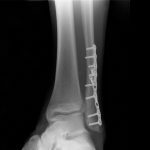 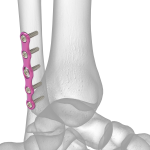 The Acumed Low-profile Fibula Plate and Lateral Fibula Plate are two options for the internal fixation of distal fibula fractures, osteotomies, and nonunions. 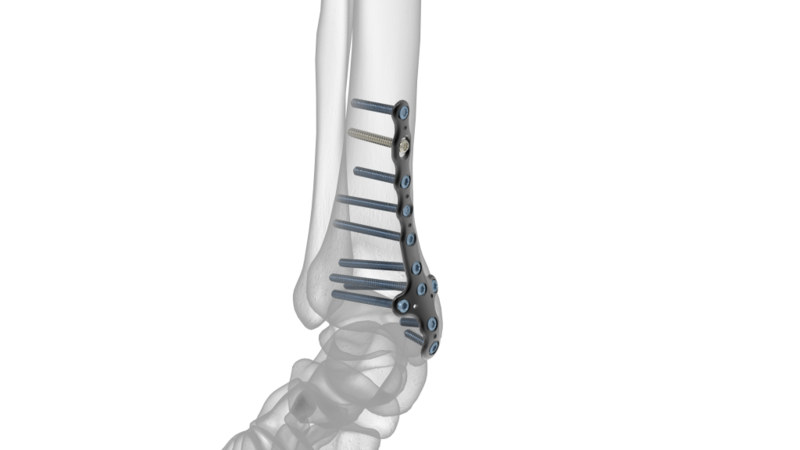 Designed for a minimally invasive approach to help reduce soft-tissue irritation, the plates are precontoured to replicate the patient’s anatomy and aid with anatomic restoration. 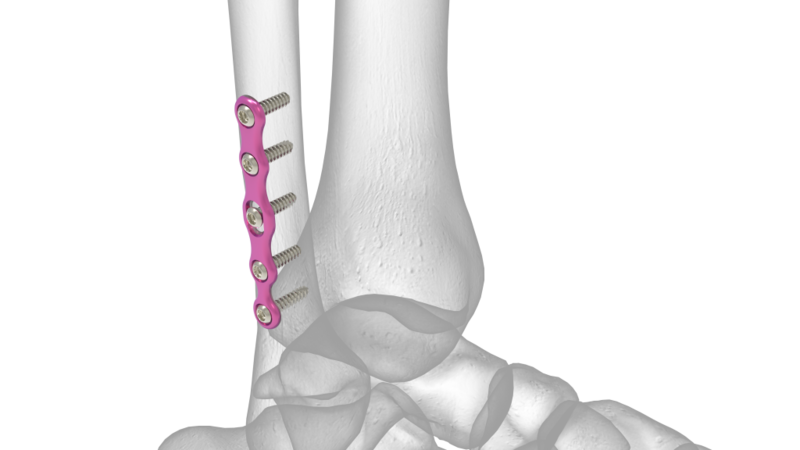 Designed for a minimally invasive approach to help reduce soft-tissue irritation, the plates are precontoured to replicate the patient’s anatomy and aid with anatomic reduction. 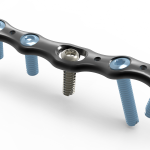 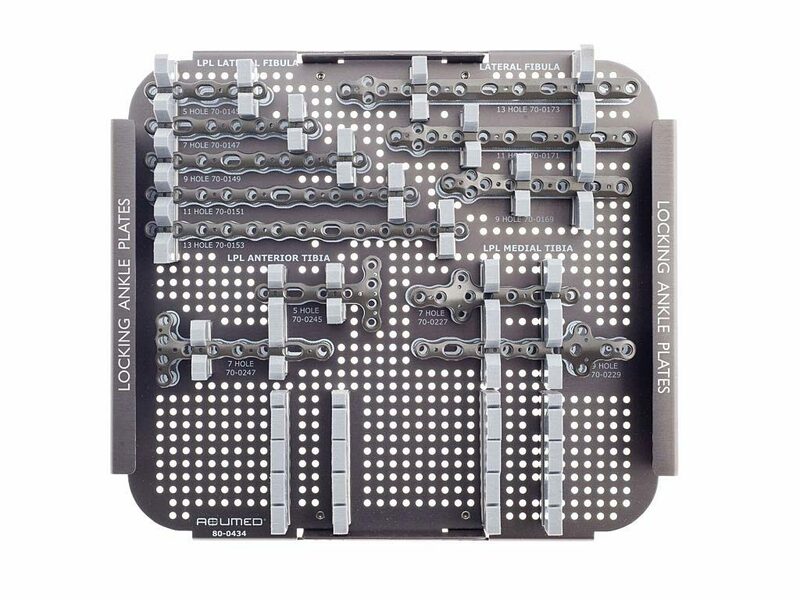 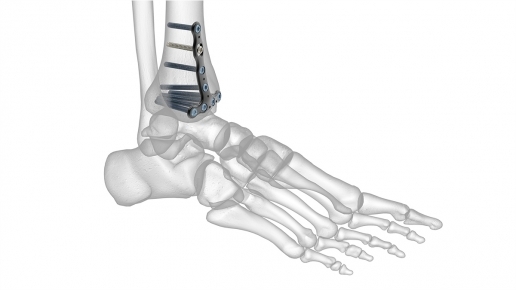 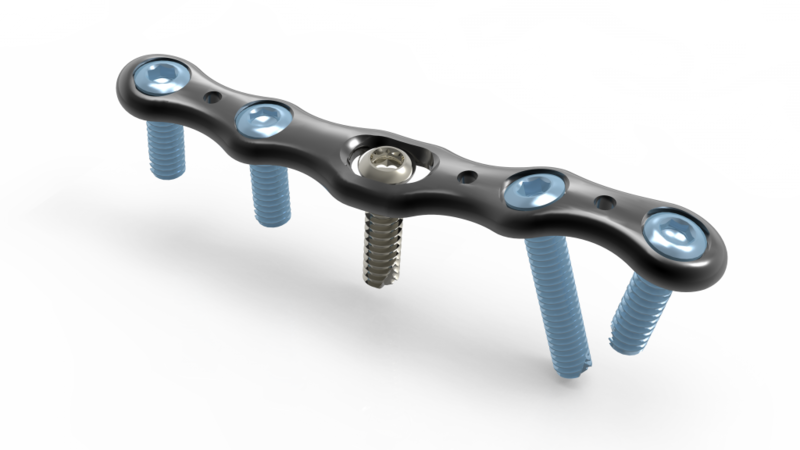 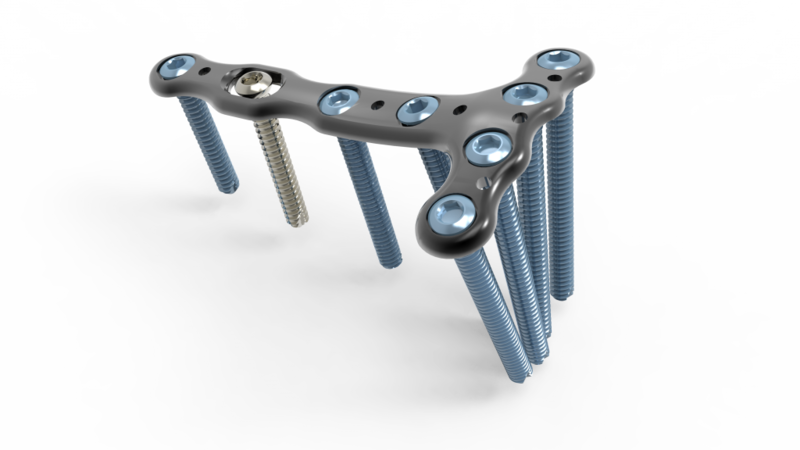 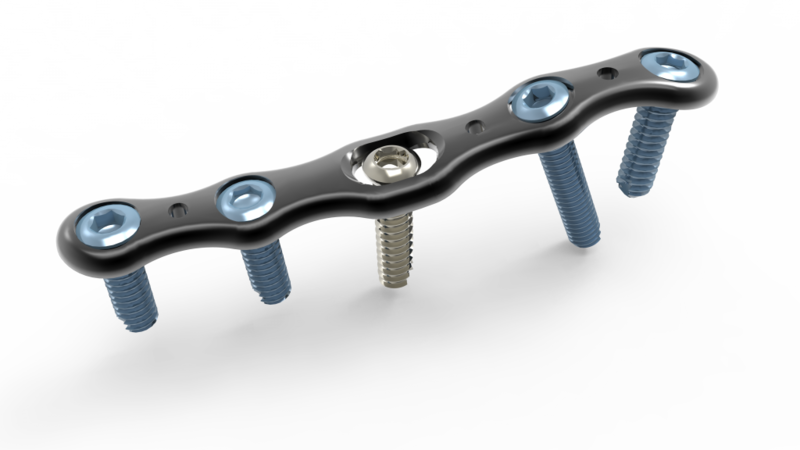 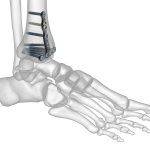 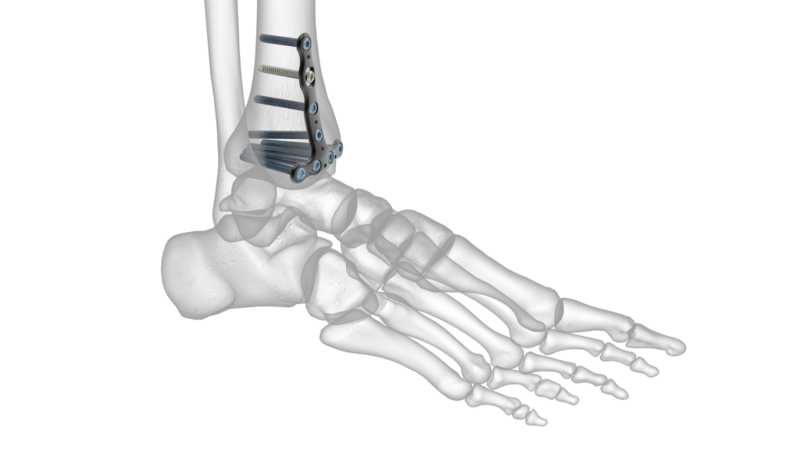 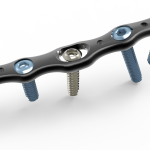 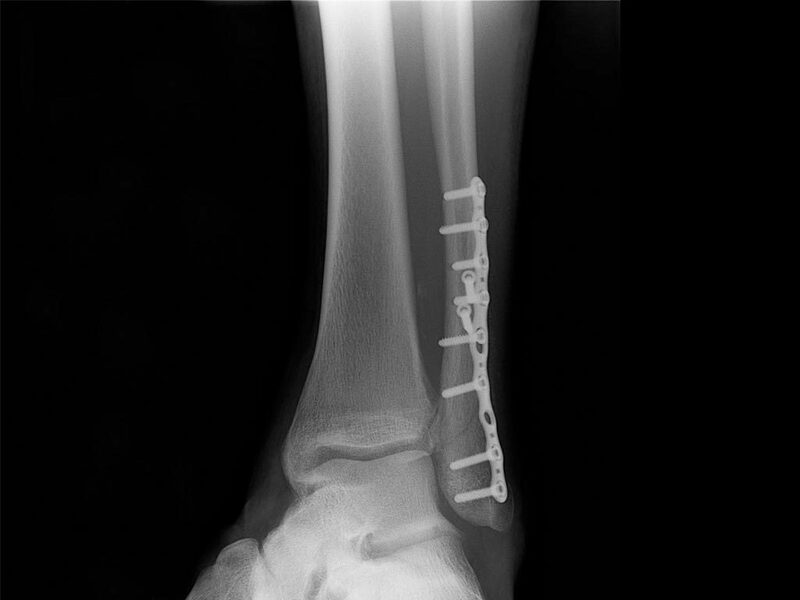 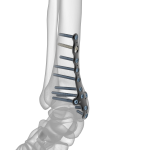 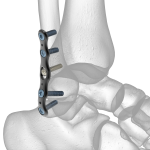 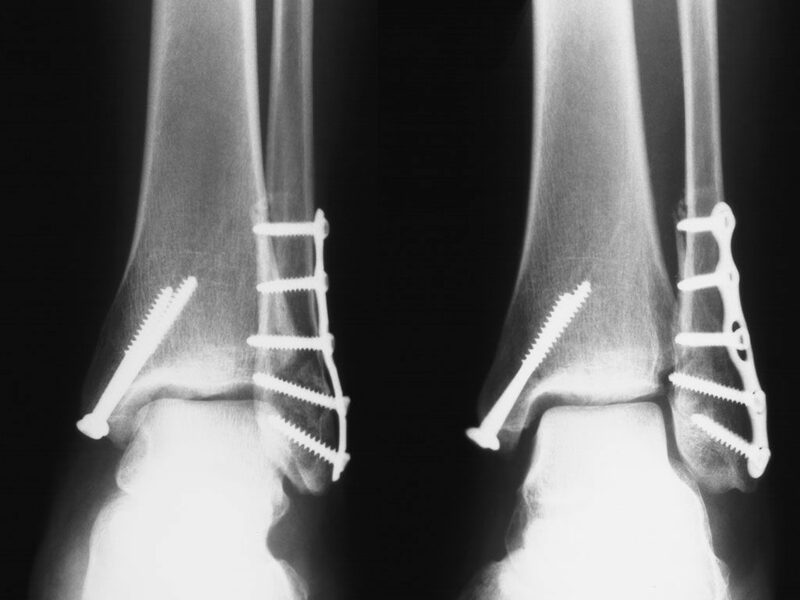 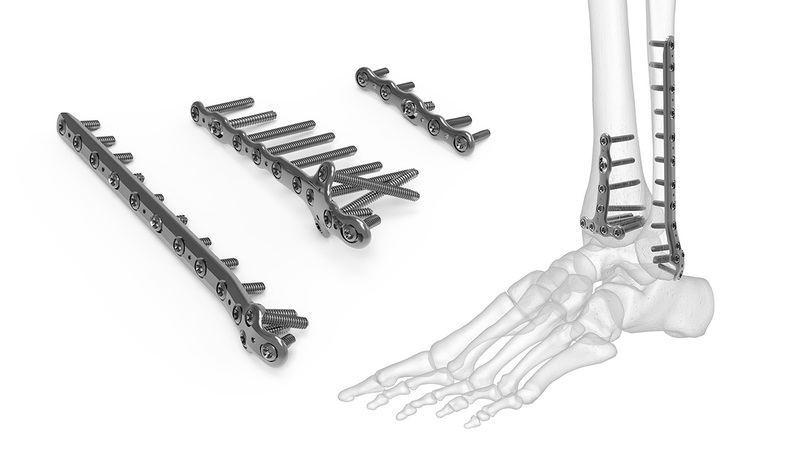 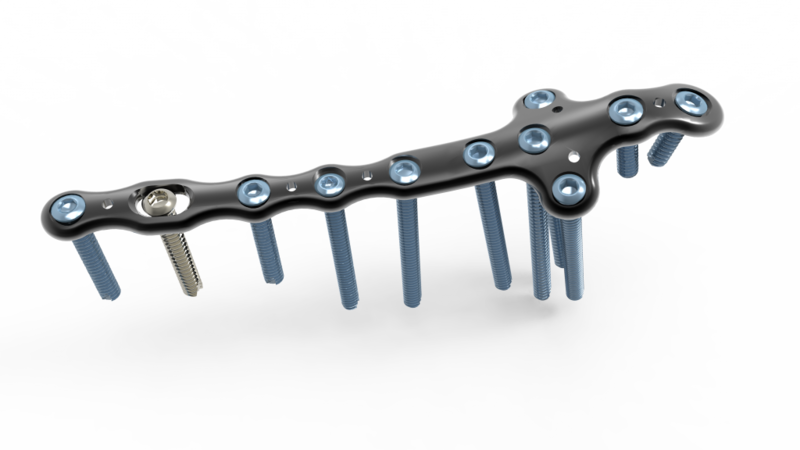 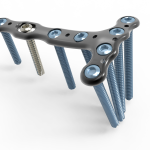 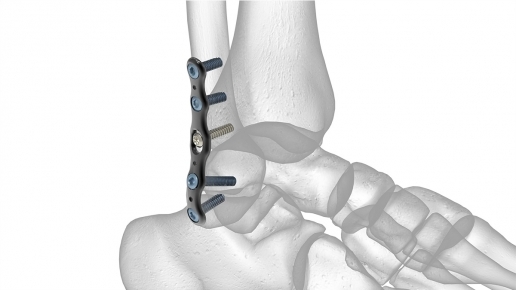 The Acumed Locking Ankle Plating System provides fixation during fractures, fusions, and osteotomies for the tibia and fibula, with Lateral Fibula, Distal Fibula, Medial Tibia, and Anterior Tibia Plate options that accept both locking and nonlocking screws, (3.0 mm, or 3.5 mm Hexalobe screws, 2.7 mm or 3.5 mm Cortical (Hex) screws, 4.0 mm cancellous screws). 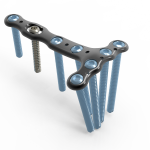 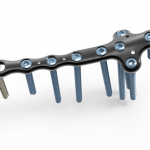 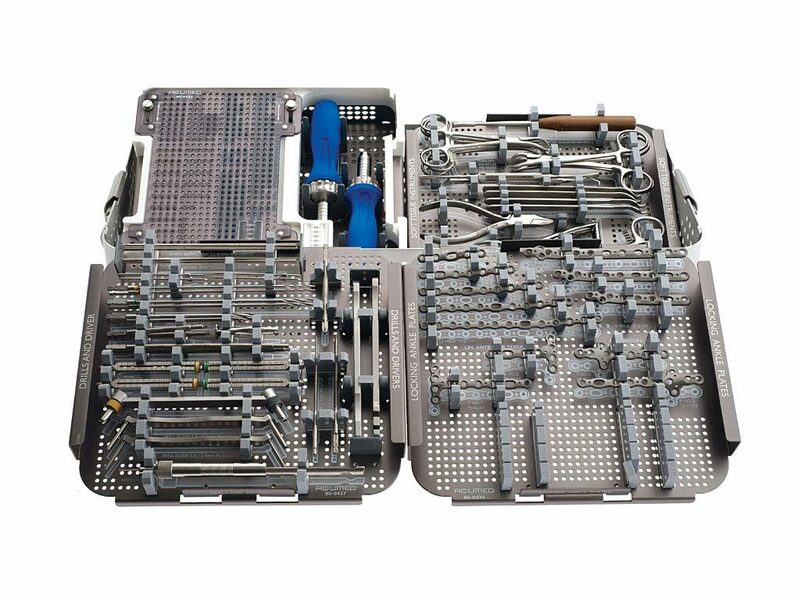 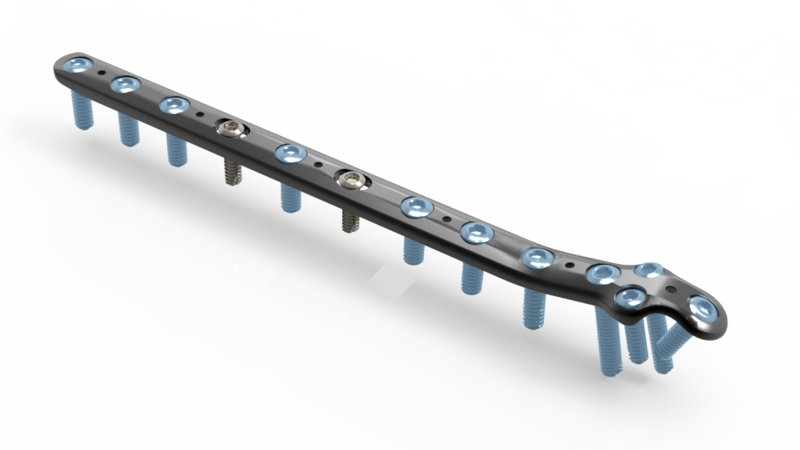 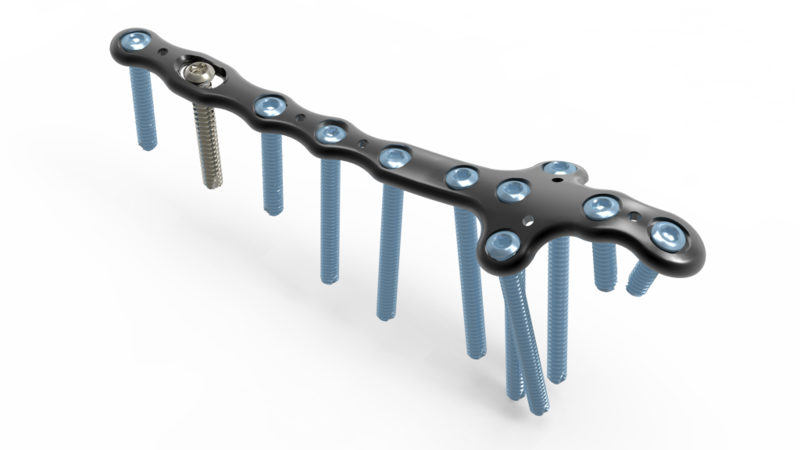 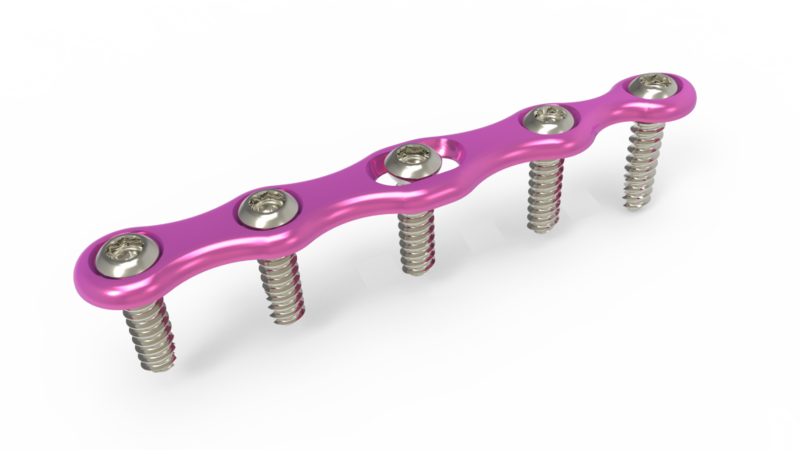 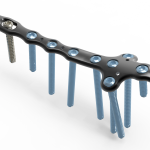 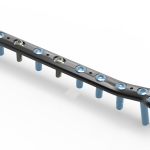 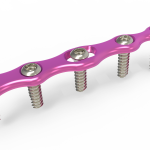 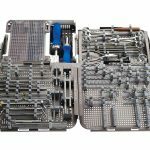 The system was designed to be low profile and includes locking screws and a Type II anodized finish to the plates, and is a modular component of the Lower Extremity Modular System, housing a range of implants and instrumentation for foot and ankle indications. 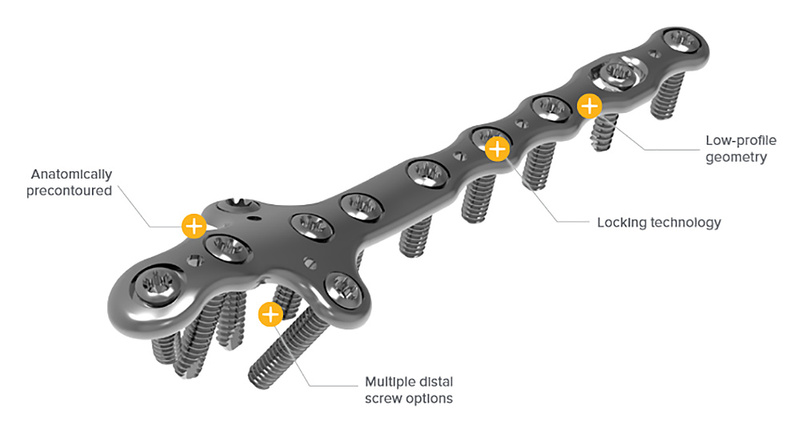 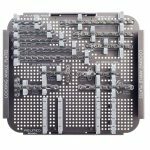 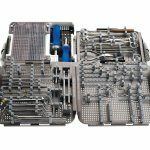 Locking and Nonlocking Screws: provide surgeons with the choice of 3.0 or 3.5 mm hexalobe screws and 4.0 mm cancellous screws. 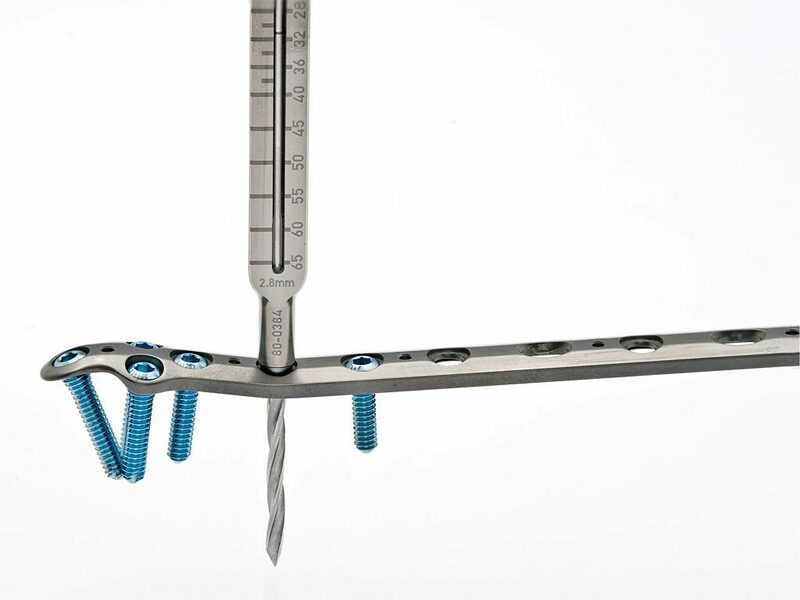 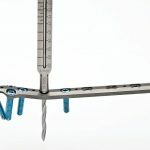 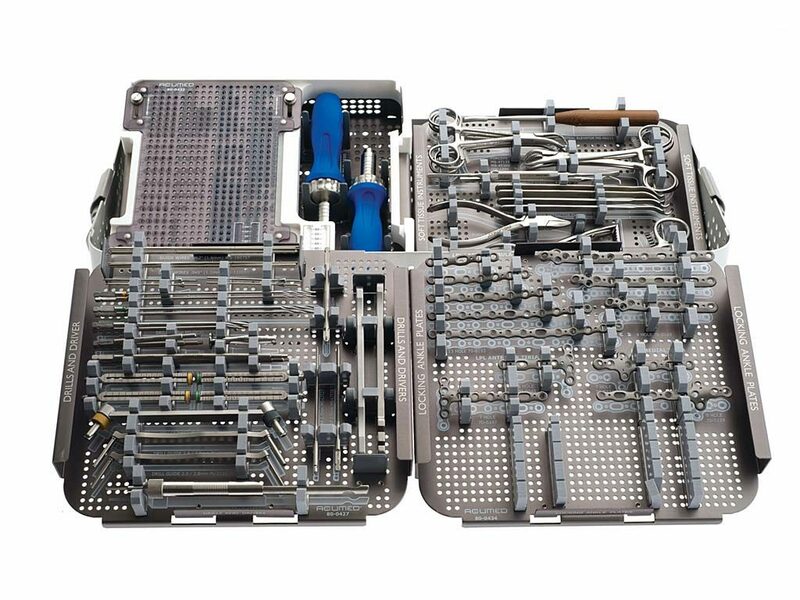 The associated drills, locking drill guides, and drivers for use with these hexalobe screws are listed in the surgical techniques. 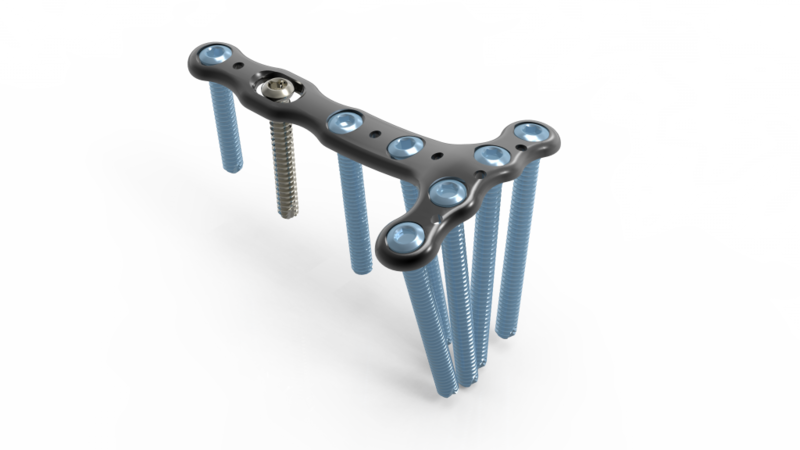 Note: The system can also be used with Acumed 2.7 mm hex or 3.5 mm hex screws. 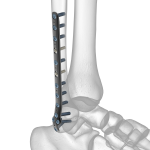 The Acumed Low-profile Fibula Plate and Lateral Fibula Plate are two options for the internal fixation of distal fibula fractures, osteotomies, and nonunions. 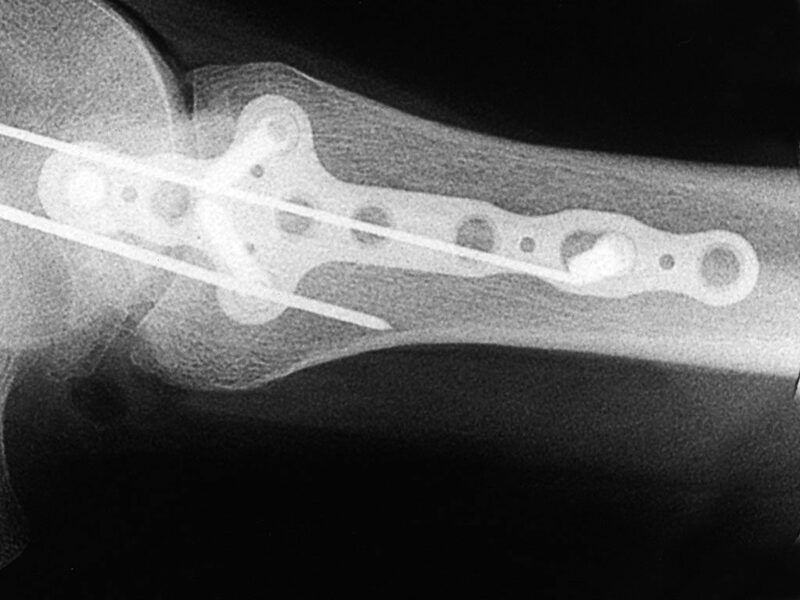 LPL plates are not intended for non-comminuted fractures. 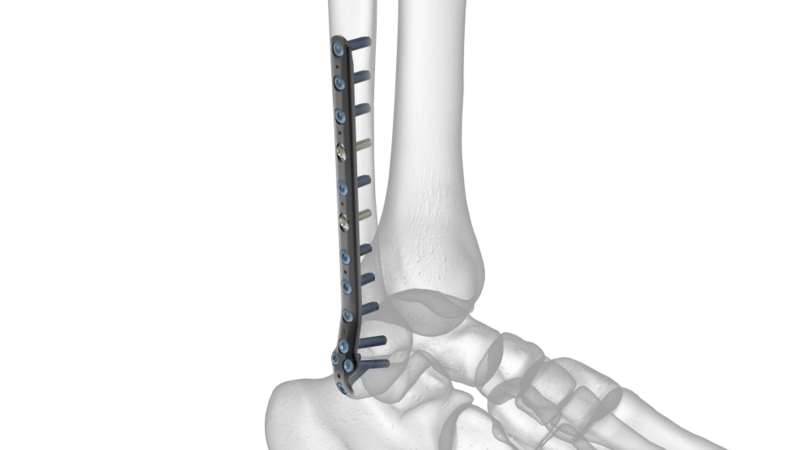 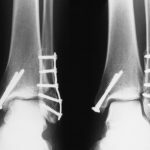 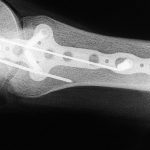 The Anterior Tibia Plate and Medial Tibia Plate are two options for the internal fixation of non-comminuted distal tibia fractures, osteotomies, and nonunions.